i know this may sound stupid but in the next major update i would like to see more assault guns and more pistols.Like a ak 47 an mp5 and all that other stuff that may make the game a little better. How would it make the game better? This is purely a cosmetic thing, right, and one that is only really visible when you're ogling your inventory - sorry, inspecting it to decide what to upgrade or trash. You can barely see the weapons in the actual missions. Or do you want the guns to step up a notch in terms of actual game power? Greater emphasis on the heavy weaponry would be disappointing, to me, taking the game another step further from the show/comic. 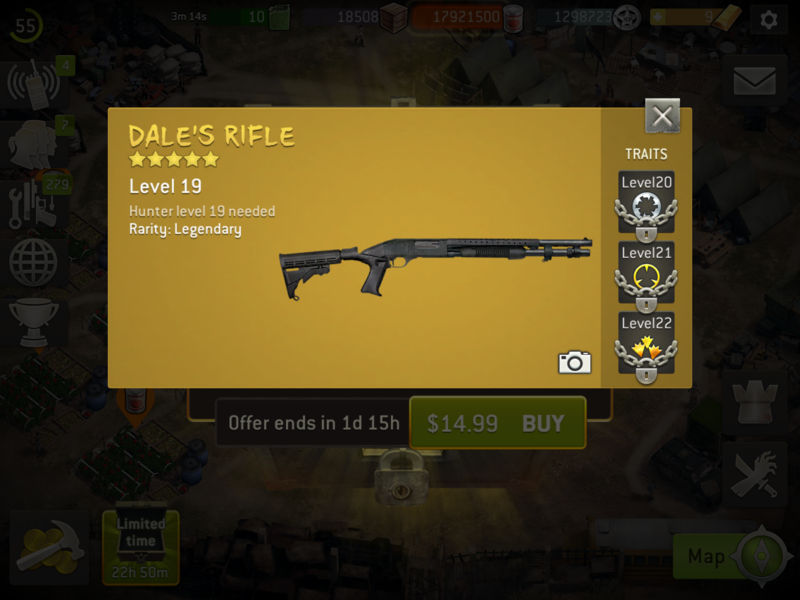 The game's already developed an excessive emphasis on firearms both in terms of gameplay balance and departure from the show/comic world where ammunition is valuable and using it risky. The early part of the game makes you feel more like you're in that world; then you unlock assaults and step out of the show into a scene from The Expendables. That’s actually the frame of a Keltec I believe.. 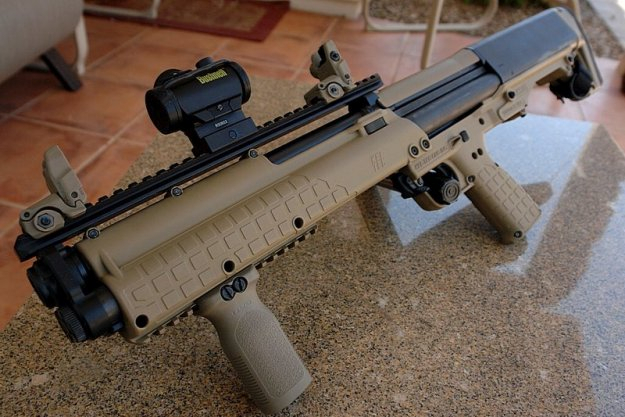 The Kel Tex KSG Tactical? 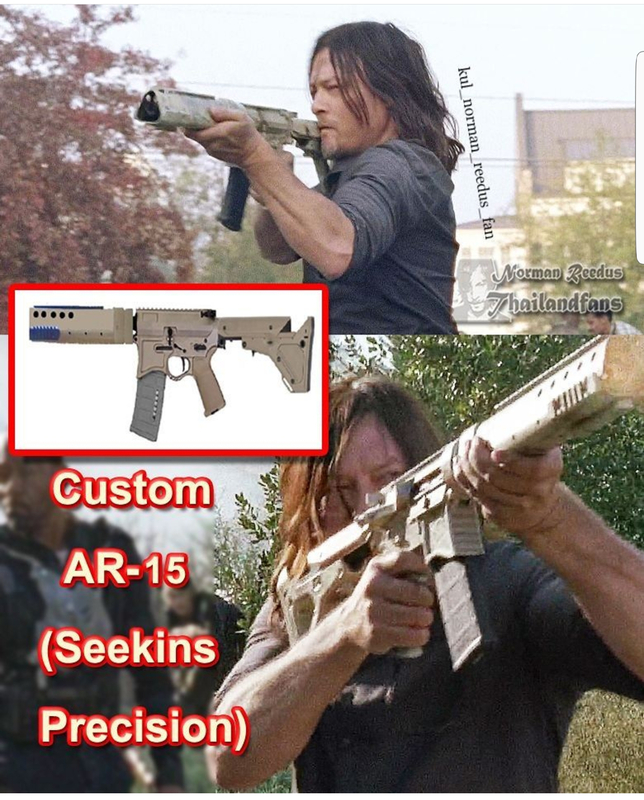 Rick has an assault rifle You mean Governors? That's probably the best you can get in game. No there was a Rick Assault bundle back in the summertime. It was a black AK47 with a picatinny quad rail on the fore end.